Thank you to all who answered our call for conference proposals. 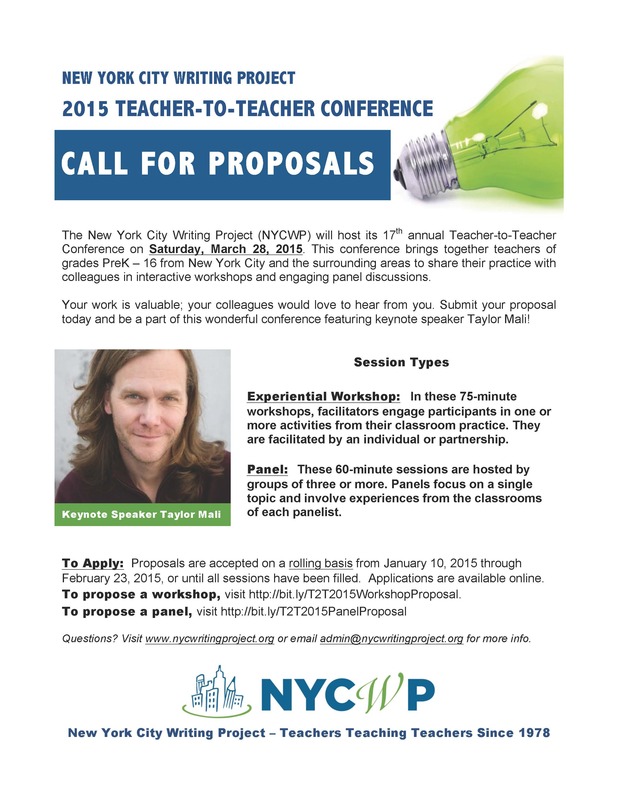 The window to apply to present at the 2015 Teacher to Teacher Conference has now closed. For information about presenting at the 2016 Teacher to Teacher Conference, please check back in fall 2015. To Propose a Workshop, visit http://bit.ly/T2T2015WorkshopProposal. To Propose a Pannel, visit http://bit.ly/T2T2015PanelProposal. next → Vote for the NWP / Youth Voices DMLTrust Proposal!